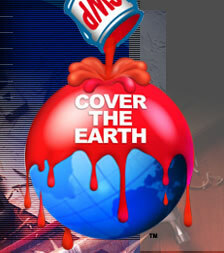 Whalin Construction uses quality Sherwin Williams Paints and Stains. With an eye on detail we are able to deliver you a professional crisp finish. Getting the surface properly prepared makes all the difference. As professional contractors we know the value of preparation and will do it right. Knowing paints and how to apply them with the vast amount of choices today are more complicated than just oil or latex, and Whalin Construction knows what works, how to use it, and has the right tools for the job. 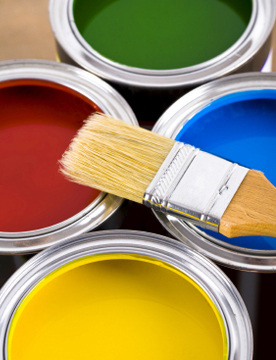 We offer a full range of interior and exterior painting services for your home. Along with painting, our professional craftsmen can install custom molding and other wood features to give your home a truly custom look. With many years experience and our service guarantee, you can trust the quality and attention from Whalin Construction. We have extensive experience in interior and exterior painting, wallpaper removal, and drywall repair. Our clients will find our prices reasonable, our service fast and the quality and attention paid to your home far above normal standards. Careful attention is always given to the protection of furnishings and possessions during all of the work in your home. Our craftsmen are committed to your satisfaction, realizing that in a service oriented business our only job security comes from satisfied customers who call us in the future and also refer us to their friends, coworkers and associates. Whether it is the painting of one room or an entire home, all of our projects are viewed in the same manner, an investment in our future and our client's complete satisfaction. - Popcorn removal and re-spray: Popcorn removal is a fairly inexpensive way to update your home. - Wallpaper removal: Some love wallpaper, others don't. For those who don't, we offer affordable removal and refinishing. In the end, you will never know there was wallpaper on your walls! - Patchwork and crack repair: A nasty crack could ruin the beauty of your walls. Homes settle, and cracks are likely to appear at some point. That is where we come in, giving you a flawless and seamless appearance. - Custom textures: We offer a variety of unique textures to give your home character! - Water damage: Leaks and water damage can happen to anyone. They lead to mold problems. 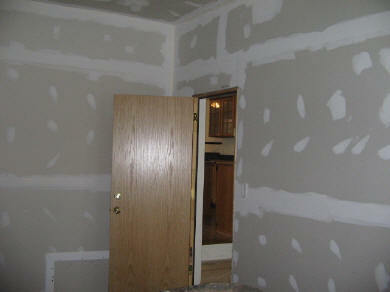 - Sanding priming and painting: Sanding is the finishing touch for a smooth drywall appearance. That is why we are careful to sand with excellent quality and use top notch sanders to keep the dust to a minimal level. Acoustic ceilings are installed so that the drywall and ceiling go hand in hand. You can get several colors, with 2/2 textures and 2/4 grid ceilings. We also have second look grids, regular tile, radar tile, and vinyl tile, with clean room sound assemblies.